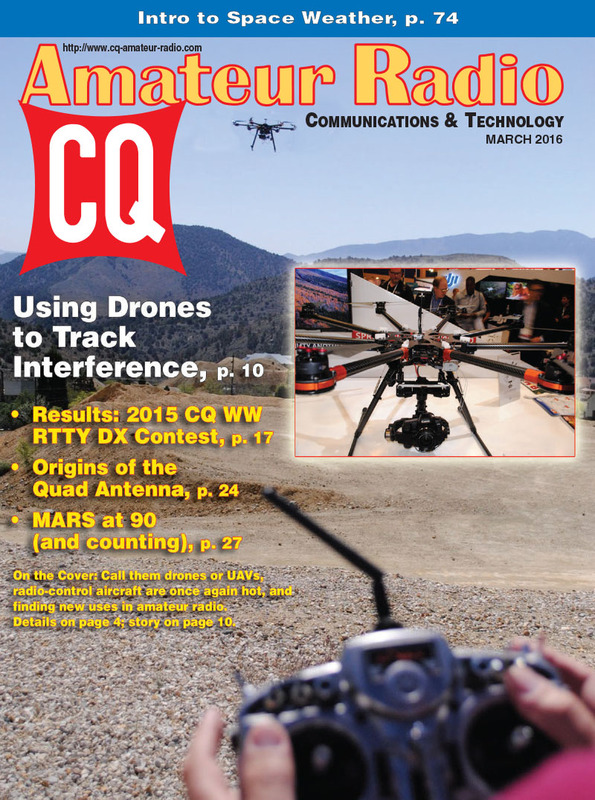 You might say the March issue of CQ is on autopilot … or at least the cover story is! It's about using unmanned aerial vehicles (or UAVs, better known as "drones") carrying GPS, a camera and radio gear, to help you track down repeater jammers from the air! We've also got the results of the 2015 CQ World Wide RTTY (radioteletype) DX Contest, once again including all scores in print. We also take you "on the road" to visit a couple of technical conferences and a ham radio retailer's "customer appreciation weekend." We celebrate the 73rd anniversary of the quad antenna and the 90th anniversary of Army MARS, and continue our multipart tutorial on using microcontrollers for ham projects. 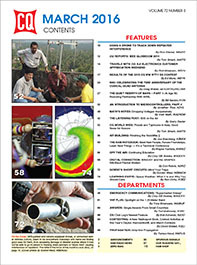 We've also got two columns this month focused on getting your signal from here to there -- KO0Z introduces "space weather" and its effects on radio wave propagation in "Learning Curve," and Propagation Editor NW7US takes an in-depth look this month at "gray-line" propagation and extra mileage you can get (literally) around sunrise and sunset. 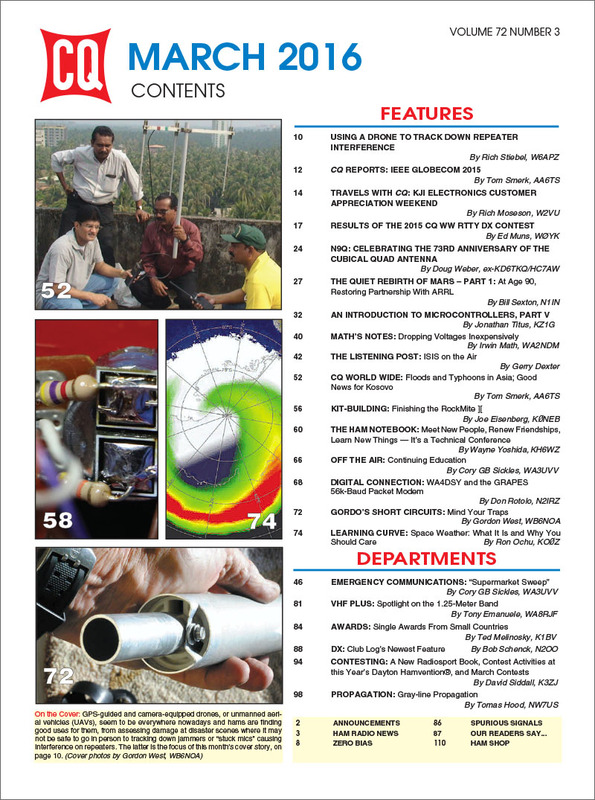 That's a look at the highlights of the March, 2016 issue of CQ, which should be on online and in subscribers' mailboxes by the beginning of the month. 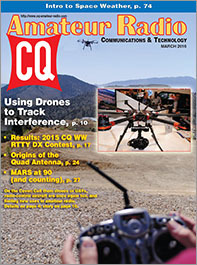 Dates to remember: CQ WPX SSB Contest - March 26-27. See rules here. Zero Bias –"Those Three Little Words… "